This author holidaylights has created 11 entries. 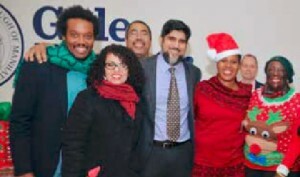 The 125th Street Business Improvement District hosted its 25th annual Harlem Holiday Lights Event Monday on 125th Street between Fifth and 12th avenues. 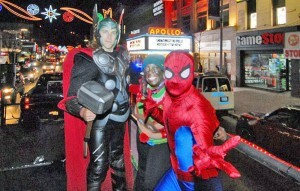 Uptown Manhattan will be glowing with good cheer Monday when the annual Harlem Holiday Lights event celebrates its 25th anniversary with a parade, music, children’s activities and health fairs. 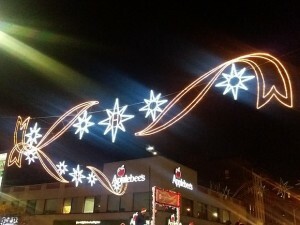 Stretching along 125th St. from Fifth to Twelfth Aves., the festive lighting is a longstanding neighborhood tradition meant to brighten streets and foster holiday spirit among Harlemites, visitors and area businesses. 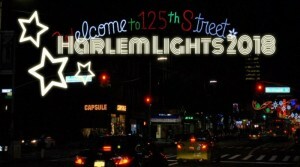 The 125th Street Business Improvement District is hosting its annual Harlem Holiday Lights Event on Nov. 19th, on 125th street between Fifth and 12th avenues, commemorating its 25th year. Fashion designer Dapper Dan will serve as grand marshal and help transform 125th Street into a sea of lights during the event. Young celebrity chef Cory Nieves of Mr. Cory’s Cookies will also be in the Children’s Village. The community is being treated to a jazz tent, a silent party and an ugly sweater contest. Monday, November 19th, from 3:00PM-9:00PM, 125th Street Holiday Lighting 2018, from 5th Avenue to 12th Avenue. 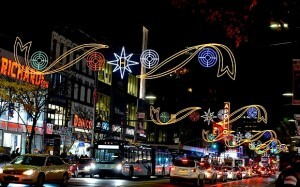 The 125th Street Business Improvement District (BID) will be hosting several events along 125th Street for the 25th Annual Harlem Holiday Lights taking place next week on Monday. 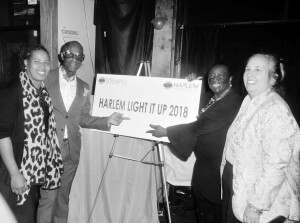 The 125th Street Business Improvement District is proud to bring you the 2019 Harlem Holiday LIghts Celebration This year’s Parade of Lights Grand Marshal will be Harlem’s legendary Dapper Dan. November 15th Harlem Holiday Lights will illuminate 125TH st.
Barbara Askins, president of the 125th Street Business Improvement District (BID) announced the kick off the holiday season in Harlem on Thursday, November 15th when the 25th annual Harlem Holiday Lights Illumination of 125th Street takes place. From Fifth Avenue to Twelfth Avenue beautiful specially designed skylines will light up 125th Street and the 6th Annual Parade of Lights. The most wonderful time of the year is fast approaching and once again, The Harlem Holiday Lights Ceremony is ready to attract New Yorkers and tourists alike. 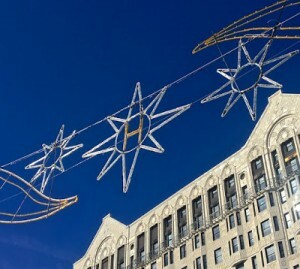 On Thursday, November 15th, 2018, from 1 pm until 6 pm, this year’s Harlem Holiday Lights event begins with a celebratory parade procession across 125th Street, heading westward and gathering for the official lighting ceremony to be held at Roosevelt Triangle (125th St. and Morningside Ave). Harlem Village focuses on bringing information, as well as health and wellness resources to the community. The Harlem Holiday Lights celebration is a street lighting event that stretches along 125th Street from Fifth Avenue to Marginal Street.